A very good to excellent, and occasionally legendary, vintage for reds. Arguably less homogenous than 2016 or 2015 but with higher peaks in certain areas. Quality across the Left Bank with a concentrated peak in St Estephe but also excellent wines to be found in Pauillac, St Julien and Margaux. Some excellent St Emilions, amongst more varied successes, and a handful of truly spectacular Pomerols. Some of the best ‘Second’ wines we have tasted in some time. Reasonable yields, with considerable variation – although especially tough on organic and/or biodynamic producers. Remarkable concentration of pure fruit characters, at times astonishing. Excellent, and perhaps surprising, freshness. You can place an order when a wine is available for general purchase and has been listed with a confirmed price. You can order in your preferred size format – the bottling charge is already included. Before individual wines are released you have the option to pre-order or add the wines to your wishlist. Pre-orders are the best way to get the wines you want as they represent firm commitments to purchase if the wine is released below the upper price limits we have provided. Select the wine you wish to pre-order using the search function in the top right of your screen or the regional listings in the box above and select the format and quantity you wish to pre-order. If sufficient stock is available, pre-orders will be invoiced when the price is confirmed and before the wines are released for general sale. If we are not able to fulfil all pre-orders when a wine is released, we will continue to search for stock at the best possible price. If a wine is released above the upper end of our predicted price range we will not automatically invoice pre-orders – each customer will be contacted to see if they still wish to go ahead with the purchase at the new price. Wishlists are not firm commitments to purchase – when each wine is released, if there is sufficient stock available after pre-order commitments have been honoured, customers with a wishlist will be contacted and given the opportunity to purchase the wine before it goes on general sale. You can add and remove wines from your wishlist as often as you like. Customers with an online BI account can see their pre-orders and wishlists on their My Account page. Every Bordeaux vintage has its story. 2009 was ‘The Deckchair’, where growers simply waited out the perfect summer until it was time to pick; 2013 was ‘The Triathlon’ where growers swam (wet Spring and Summer), cycled (a beautiful end to Summer) and then ran (to get the harvest in when the foul weather returned). So what is 2018? It could be defined as ‘The Rare Better Sequel’ vintage; one of those unusual times – think The Godfather Part II or Mission: Impossible II – where the second part is better than the first. And where the whole becomes something with truly extraordinary potential. Unusually homogenous across both sides of the Gironde, 2018 was nonetheless a year split in two. A very wet winter, colder on the Left Bank than the Right, saw double the average rainfall from December to March. Clay and limestone soils saw a considerable build up of water reserves. The rain returned to average volumes in April allowing successful bud-break but returned in earnest in May which, in combination with above average temperatures, created the first, considerable threat of mildew which struck many vineyards with force. This was exacerbated in many places by the seasonal warming-up of heavily-sodden soils, which created evaporation directly under the vines causing serious decisions to be taken regarding canopy management. 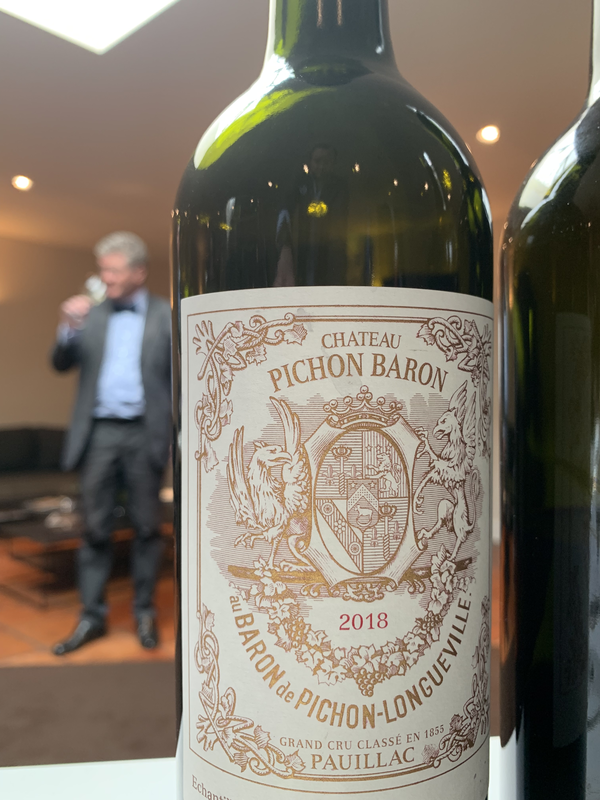 Winemakers feared the worst: Christian Seely of Pichon Baron admitted he was “terrified”. Flowering began between late May and early June (with the Merlots of the Right Bank leading the way) at which point some regions were hit by hail which mercifully for the leading estates of the Medoc and Pomerol/St Emilion travelled almost directly South-North, bisecting the two without impacting dramatically on either. But the worst was not over as the heavy rainfall returned and whilst not above average, its tandem role with high, and increasing temperatures caused a second bout of drama with both mildew and powdery mildew attacking without prejudice. Those who were able to act quickly or successfully anticipate what might happen (Alexandre Thienpont of VCC said it was like trying to catch the rhythm of a song and predict where the beats would fall) were able to minimize the effects and save their yield; those who failed, or were restricted from chemical treatments by their organic practices, saw their crop decimated. Palmer would eventually crop at just 11 hl/ha. Can it be pure coincidence that on July 15th, as the French football team were lifting the World Cup, that the rain should halt and barely fall again until September? Probably. The reality remains; the second half of the growing season was underway in a positively Californian style. Everything that came before – the rain which led to plentiful reserves, the reduced yields as a result of mildew – became a strength rather than a weakness. Veraison (the colour change of grapes) took place at the end of July/beginning of August, showing that despite a late start, the vines had caught up and were now in a perfect developmental state. The sun shone bright and warm in the cloudless sky, generating many hours of usable energy without reaching temperatures which could cause serious damage (as they did in 2003). At Leoville Poyferre, June to September saw the highest value of joules received from the sun in the past 5 years. Subsequently 2018 was one of the hottest and driest summers on record, allowing for moderate vine stress which helped to ripen the tannins and maintain freshness. The rain which fell in late August/Early September provided the penultimate touch, reviving the vines and softening the grape skins. After this sunny days and cool nights gave the grapes further concentration and allowed the harvesters to pick at will. Indeed many undertook the longest harvest in decades, taking as much as 5 weeks from beginning to end as each plot was gathered in exactly as was desired. The grapes were routinely small, but not always; typically they were light, however, down as much as 25% in weight from a standard 1.1-1.2g per grape to as low as 0.8g per grape. The difference in the weight was primarily juice, meaning the skin to juice ratio was extremely high. It became clear that the sheer ripeness and thickness of the skins and the incredible concentration of the juice – alongside the very welcome freshness (despite relatively high pH levels) and high potential alcohol, that something very special lay in store. However there was a danger: how long to leave these perfect grapes in order to achieve perfect ripeness? Could freshness be maintained without early picking? What to do when the pips were fully ripe before the skins, as they were at Ducru Beaucaillou? Despite seemingly benevolent conditions, timing, as usual, was everything. Bringing perfect grapes into the winery is the first stage. The second is what you do with them and this is where the danger really lies – the threat of turning perfect grapes into a less-than perfect wine..
Where the ‘less is more’ approach was taken, success was far more likely. Micro-vinification, treating each plot one by one, was vital – especially for those with larger, more diverse holdings - to capture the essence of each combination of grape variety, soil type and specific location in the race to precisely pin-point the true breadth and character of each estate’s vineyards. Gentle extraction was preferred given the incredible rich colour and sheer weight of tannins, a result of the thick, ripe skins. Shorter macerations (down from as much as 30 days to just 18 in some places) helped preserve the freshness and keep the best wines in balance. At many addresses spending on new oak was down although some chose to reinvest this into clay amphorae, in evidence at La Conseillante and as part of a range of fascinating options at Les Carmes Haut Brion. If there was a fear it was a sense that given the quality of fruit and the potential impact of the resulting wines, that ‘blockbuster’ status could be achieved – especially given the necessarily restrained, ‘Indie’ nature of the preceding 2017 vintage. Our feeling is that some estates succumbed to this alluring ego-boost and arguably overworked their wines as a result. Those that did not give into this temptation allowed themselves a great chance of creating true Hall of Fame wines and many did just that, creating a vintage which will go down in history. Robert de Niro… Robin Williams… Juliette Binoche… All massive names who have seen their names writ largest on the billboard, and yet also all have been recipients of Best Supporting Actor/Actress at the Academy Awards. They took certain movies to a new level by adding a little extra magic, a little something that helped make those movies… timeless. Can you imagine The Godfather Part II without Robert de Niro? Or the Constant Gardener without Juliet Binoche? Or Good Will Hunting without Robin Williams? These were performances of such significance that they became the talking point; not the whole story, but arguably the defining factor. Let us get one thing clear. Tannins are often seen as the bad guy. People talk about ‘tannic wines’ in purely negative terms. This is hugely unfair and often downright nonsense. When tannins are badly handled, and are as a result unbalanced, certainly the wines are more in line for a ‘Razzie’ than an Oscar (if you don’t know what a Razzie is, Google is your friend here – but here’s a clue: Adam Sandler has 11 nominations and 3 wins). But tannins, with their essential partners acidity and alcohol, are not described as ‘structure’ for no reason. They are the rhythm section of a great band, the foundations of a stunning building, the Best Supporting Actor in a great film. Great tannins are the key to ageability and ageability is for most the difference between good wines and great wines. In 2016 we talked a lot about tannin texture, where long chains of molecules, a result of the long, late growing season with perfect diurnal temperature variation, created a velveteen mouthfeel which was quite unlike anything we had encountered before. The tannins in 2018 are bigger, bolder, more impactful at this early stage which unquestionably made the wines harder to taste from barrel. We should not be fooled by approachability however. Easier rarely means better and 2018 at its best was worth the work. Certainly these are not wines whose leftovers those responsible for drawing off the samples would have drunk with their lunch, as they did in 2015 and 2016; however they are wines which their grandchildren will still enjoy within their peak. Hollywood Walk of Fame or Straight-to-DVD? In other words… should you buy? The success or failure of an En Primeur campaign is not just dependent on quality; price is the defining factor (at the right price, any vintage can sell). So: 2018 – box office smash or epic flop? On quality: overall, very good, if not as homogenous as 2015 or 2016; however given time the best wines have the potential to eclipse both these vintages. They are quite different in style to ’15 and ’16, being wines of massive power and harmony made to go the distance. At their best the closest comparisons would be 2005 (“I have never tasted so many extraordinarily rich, concentrated, massive wines so high in tannin and extract yet with such precision, definition and freshness.” RP), 2010 (“extraordinary concentration of flavour… tannins that are often off the charts in terms of analytical readings… a massively concentrated vintage” RP) or going further back perhaps 1986 – but with the benefits of far more sophisticated vineyard and winery techniques, resulting in vastly increased precision and finesse. On pricing: we are perhaps in the most complex economic environment for an En Primeur release since the global economic crisis of 2008/09. Not only is it hard to predict where global exchange rates will be when the campaign starts in earnest, but we can never second guess the chateaux’s needs or intentions. It is extremely likely that a price increase will come on top of the 2017 release but where it stands vis-à-vis 2016 only time will tell. When each wine is released our in-house analysis will point out quickly where it sits in the quality/value scale. That said in a number of cases 2018 has delivered benchmark wines which many serious wine collectors and lovers will not want to be without. There will be some cases where you should say ‘yes’ and worry about the bill later; as with the best 2016s, if you are less price sensitive than some, then you can comfortably buy everything we recommend and we are confident you will never be disappointed to own and drink them. Let us also remember that value is, more often than not, in the eye of the buyer. Those who avoided the negative mood music over pricing in the last several vintages, including the 2016s, will have every reason to feel very smug indeed! Conditions in the south of the Medoc were as per most of the region. Virtually a year’s rainfall came between November and June, with a huge concentration in December, January and March. This cooled the soils, delaying budburst, and causing a huge build-up of water deep in the ground. Temperatures through spring remained cool and even given relatively poor conditions flowering occurred pretty successfully around the end of May. However the torrential rain that had fallen already, up to 25 inches in Margaux so far that year, would bite back as the temperatures rose causing “a mildew attacked of staggering virulence” (Chateau Palmer). June and July brought above average weather and then further rain struck in the first two weeks of July causing a second bout of mildew, which would prove devastating in yields for those whose organic practices would prevent them from fighting it chemically. Then the summer arrived in earnest with just 2 inches between mid-July and late September, falling mainly in the evenings and overnight. Daytime temperatures were akin to 2009 with cooler nights, and colour change (veraison) started in early August, bringing the vine-cycle back on schedule. The troubles were well and truly over and with suitable water reserves already in the soil, a little vine stress in association with the low yields created grapes of enormous concentration and ripeness; furthermore the cool nights slowed down the ripening process, retaining freshness. Harvests were done at leisure beginning in mid-September and running for as much as 5 weeks with no threat of botrytis. Small grapes, up to 25% lower in weight than average, yielded good alcohol levels and exceptionally high tannin indices. Further north in the Medoc the story was broadly the same as throughout the Left Bank. Very heavy rain over the winter and spring slowed the vines’ early development with budburst occurring well into the second week of April for the Cabernets. April was a little warmer than average, speeding up the vegetation process, only for the rain to strike again in May causing downy mildew. Given the resources available to many properties in this region, many were able to attack the effects of disease before they had a significant impact, thus protecting their yields. June returned to warmth with above average temperatures, reaching 33C in some areas, but here the excess of water was at its most useful, keeping the vines fully refreshed and vigorous. However the July storms led to a major outbreak of downy mildew and yields suffered. As we know, this was followed by the most exceptional summer – the hottest in this region for 100 years bar 2003 with higher sunshine energy received from June to September than in any of the past 5 years. Colour change was led by the earlier-ripening Merlots at the beginning of August followed around a week later for the Cabernets. Days were very warm, but without unwelcome heat spikes, and nights while not as cool as in some parts did allow for freshness to be maintained. The hot September did cause further vine stress and some berries shriveled, requiring significant sorting both in the vineyard and winery. Typically the Merlots came in first from mid-September while the Cabernets did not finish until mid-October. However in some regions where the soils and micro-climates are more diverse, some Merlots came in after the Cabernets. The wines are incredibly rich and robust and yet boast a freshness and purity that sets them apart from most other vintages; but despite the eventual quality it was certainly not an easy vintage to manage – at any stage. 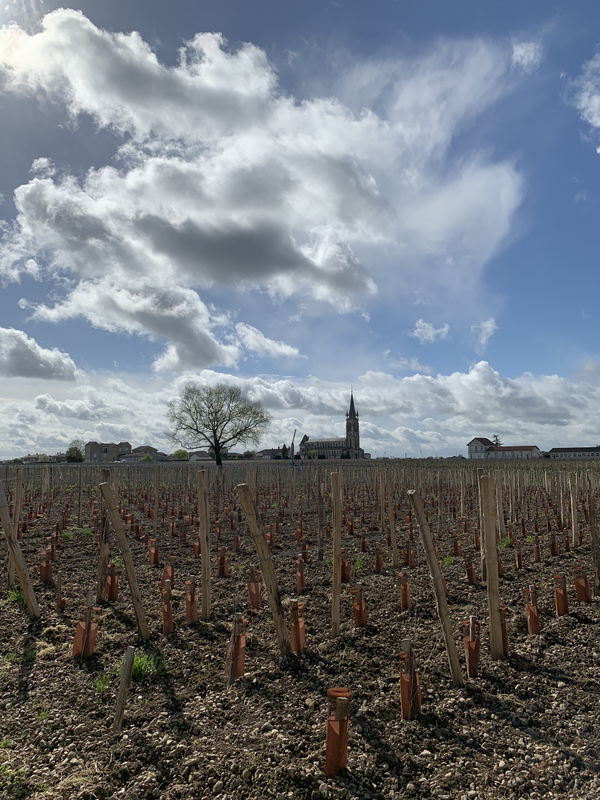 Conditions in St Estephe were very similar to those in Pauillac, with the weather following the ‘half and half’ pattern of elsewhere: a very wet winter and spring followed by a very warm summer, with the similar threats of mildew and drought effects. However St Estephe is quite different in both topography and geography. It is further north than Pauillac and marginally closer to the Atlantic (at least, closer to where the Gironde meets the Atlantic, where the river is a little wider); it is a little more exposed and windswept; and fundamentally has a quite different soil structure to the communes further south, having more clay and limestone in addition to sandy and gravel soils. These aspects have made a very real difference to the quality of the wines in 2018. The marginally cooler weather allowed for more even ripening, and the exposed nature of the vineyards helped prevent too much moisture from lingering in the vine canopies (think of the effects of the Mistral in the southern Rhone). Furthermore, the clay and limestone soils allowed for greater water retention than further south in the Medoc, meaning even the youngest vines were able to cope with the intense summer heat. The Merlot planted on gravel soils began its harvest around the 19th September while most of the Cabernets were in by early in the second week of October. The wines have incredible density and power, but with remarkable focus and precision. It is a stellar year for St Estephe. In a relatively rare occurrence, both sides of the river encountered similar weather patterns and conditions throughout the winter and summer. Thus the vignerons of St Emilion and Pomerol had to cope with very similar trials and benefits as those in the Medoc. 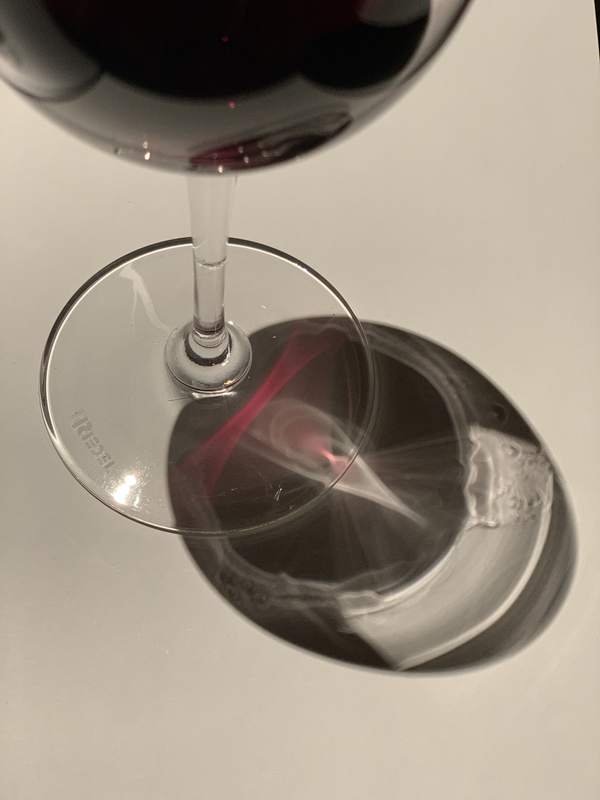 The question of course is how the Merlots and Cabernet Francs fared during this topsy-turvy vintage, and what effect the clay and limestone soils had on them. The clay soils in Pomerol, particularly those on the plateau, were tailor-made for this growing season. They soaked up the excess water and allowed the vines to draw on it at will until the drought began to create a little water stress, enabling the grapes to maintain freshness and yet reach full ripeness. Whilst the Merlots have delivered some superb quality – indeed there are a handful of 100% Merlot wines that are truly stunning in 2018 – it is the quality of the later-ripening Cabernet Franc that truly beguiles. It adds a savoury, spicy, refreshing character which perfectly counteracts the lushness of the Merlot. This is a spectacular year for the leading lights of Pomerol. 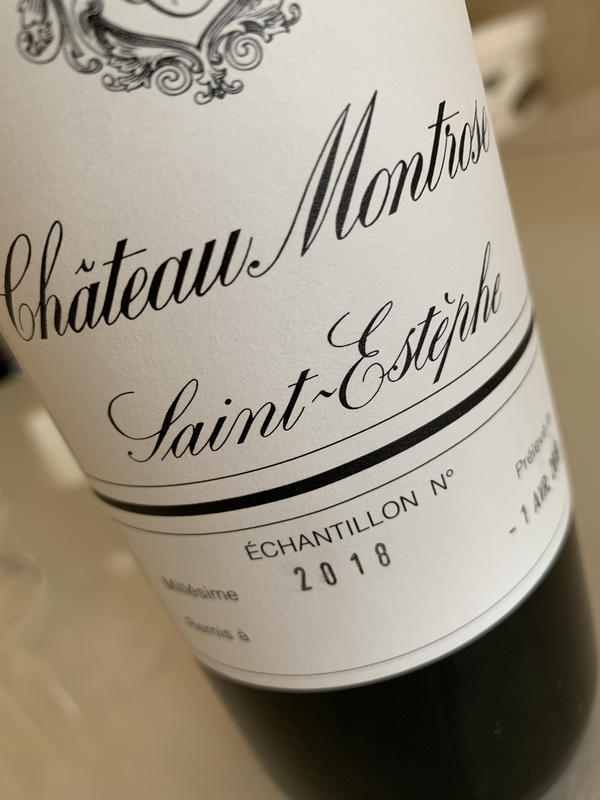 In St Emilion the limestone soils on the plateau delivered similar results, also displaying some of the best Cabernet Franc we have seen in years – perhaps even better than those from 2015. But those estates who border Pomerol – notably Cheval Blanc and Figeac – have also delivered spectacular wines. As is often the case with this appellation, there is a little more controversy as estates look for ways to differentiate themselves: some have picked a little early for our tastes, some a little late, and some have certainly pushed the envelope a little with extraction. Those who have got it right have done a wonderful job. The story ‘down south’ was much the same although for those vineyards in the south of Bordeaux town, the proximity to more built-up areas both intensified the heat and limited the ability for cooling, drying breezes to blow through the vines. As a result the mildew effects were considerable and yields fell as a result. However the grapes that remained reached full, exceptional ripeness while remaining a very good degree of freshness. Warm, dry summers are not ideal for the promotion of botrytis and as a result the sweet whites of 2018 are on the fresher side rather than fully rich side – this may come as a welcome result for some buyers who prefer their Sauternes with plenty of acidity as well as sweetness.